1- Hello Jon, can you please tell us a bit about you? I am a millennial automotive professional from Toronto Ontario. Started selling cars back in Nova Scotia in 2007. I moved to Toronto to pursue my dreams in 2010. Worked in various brands in different positions in variable operations department in the car dealerships. 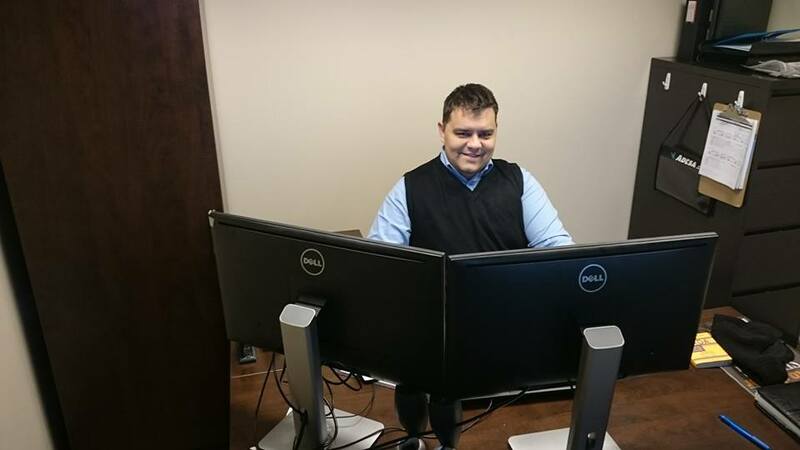 I have hold positions as new car sales manager, sales manager, used car department manager and general manager. During my tenure, I have had opportunity to work with largest auto groups in Canada. Finally I have decided to start my own business and assist car dealerships. We focus on online merchandising and pre-owned vehicles. We believe those 2 areas are the most neglected in franchised car dealerships in Canada. Buyers are changed compared to 10 years ago. Millennials buy cars differently and that effect the whole industry. Today’s buyers really don’t enjoy wasting too much time in negotiating and visiting multiple dealership. People search online and shortlist the dealerships then go visit them. If that dealership does a good job, sales happen faster than before. 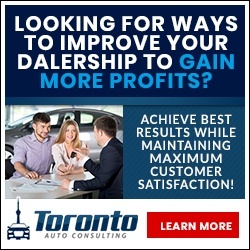 3- How would you describe Toronto Auto Consulting in few words? Toronto Auto Consulting is a boutique firm and capable of answering all the needs of a car dealership in Canada. We have done works on site to fix the used car operation as well as done work on the websites remotely. On the need basis, we recruit the best talents to get the job done with industry best practices. Being small allows us to move very quickly and our partnerships allow us to get the job done fraction of the real cost. Our biggest success was assisting a dealership increase its sales volume by 220% in the last 6 months. We had this client never delivered more than 45 cars in the last 8 years of operation. When we implemented processes from used car inventory to Facebook campaigns we ended up delivering 107 units. The same dealership is the number 1 certified pre-owned dealership in Canada right now. We only use KPIs to determine what needs to be done at dealerships. We never bring emotions in the business. Problem with a lot organizations is wrongdoing becomes a norm due to employees being in that place for a long time. When someone works at the same place for a long time, they stopped seeing what is wrong. Business is evolving and bringing a 3rd party to inspect your business is always a good idea for improvements. Doesn’t matter how successful you are, you may end up like Nokia or Blackberry. Business is changing everyday in a very quick pace, consultants like us experience this better due fact that we been to multiple different organizations. 5- Most people still can’t see the importance of digital marketing to upgrade the way they are doing business, what do you think about that? Baby boomers are still around and refusing to retire, they have their old school ways in business and that causes them to lose profit. They still like to impose things on a customer who is born to the technology age. Back in the days, you could deceive a customer by inflating the price then discount, however today all the tools are out there for people to make an educated decision. This will eventually change when more old school people retire and open places for the next generations. Digital marketing is great because you can measure it. How can you measure an ad on the radio, tv or newspaper? We have the capability of drilling down all way to the interest of target audience. That means I can only target people who are car shopping to see my ads. It means assisting business and make them successful. There are different ways of consulting. Some only like to advise people and don’t get their hand dirty. 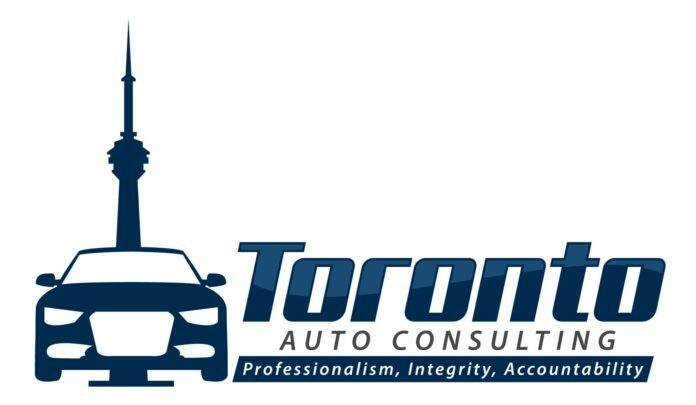 Here at Toronto Auto Consulting, we go down to the dealership and actually work side by side with our clients till we turn the ship around. We believe all ideas are great if you can make it happen. After we achieve our goals then we can be advisors. We would like to be able to do performance meetings with different clients and bring them together to discuss best practices. This day an age it is very difficult for a single car dealership owner to survive. Most dealerships are bought by large auto groups. Our priority is to help single dealership owners and assist them to survive in this transitioning period. The car business is facing a huge change these days and it will be very different in the next 5 years. 8- What can you tell young creative consultant who are pursuing their dreams? You must expertise in your topic to be a consultant. If you are not an expert in particular topic how would you be able to answer your client’s questions and assist them? You can’t just google things and answer your client’s questions. If I haven’t worked in the car business prior, there is no way in the world I could do what I can do today. I was the floor selling cars, desked deals, bought cars, merchandised them and all that work. I am really excited about Google Analytics Store Visit measurement tool. I still couldn’t get my hands on it yet but It is very exciting. Basically, it is going to be able to tell if those people saw your ads visited your store. Imagine the possibilities, can you do that with newspaper? Starting your business is a lot of hard work and it is not for everybody, but we need entrepreneurs for our economy to succeed. Be persistent and work hard. 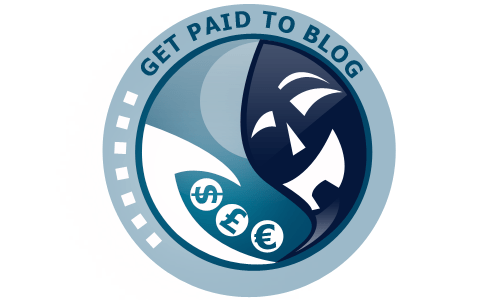 If you want to be successful as a consultant, help your clients to make more money otherwise you would just become an expense and liability for them.